Inklingo is a downloadable PDF used to print shapes on fabric with any ordinary Inkjet printer. 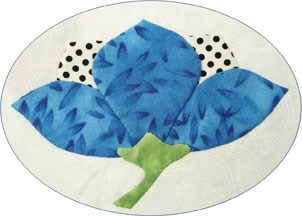 This PDF includes instructions for printing appliqué designs in different sizes. There are sample Print Dialog boxes, so you can print any Inklingo appliqué designs in any size. 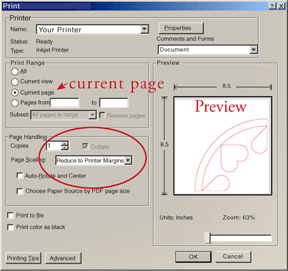 It is worthwhile to become familiar with the settings for your Inkjet printer. Wow! No wonder quilters say Inklingo is the quilting tool we've always wanted! Refer to the free chapter of The Inklingo Handbook for complete instructions for printing on fabric. It is included in the free Inklingo Shape Collection for LeMoyne Star.